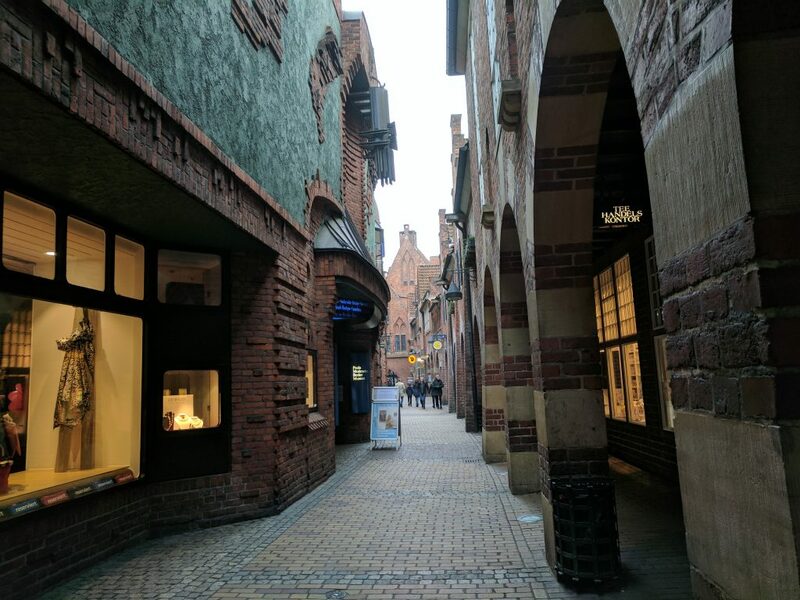 On my way back to Berlin from the Netherlands (on Feb 5, 2017), I had a stopover in Bremen. Because I was travelling on a Flexi ticket, I was able to choose any train I might want to take. This meant that I could extend my stopover in Bremen from a few minutes to two hours. 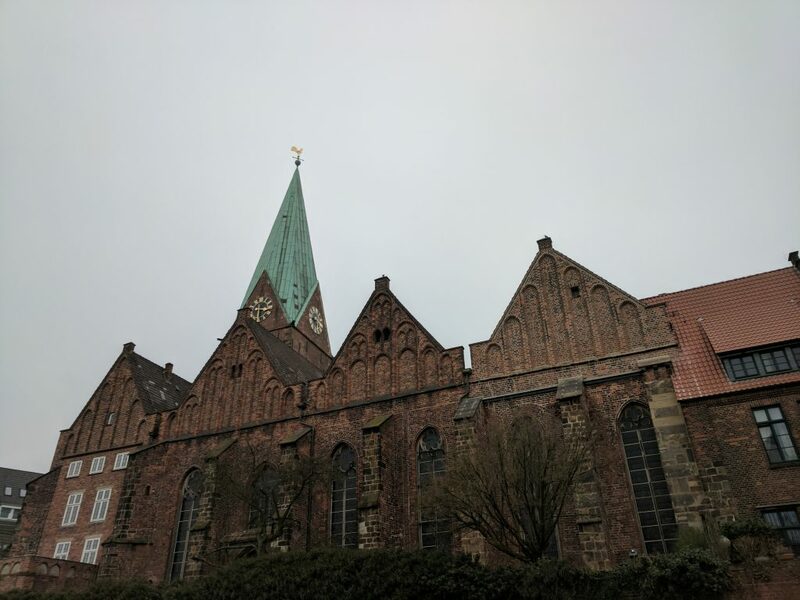 Of course, only an hour or two is not nearly enough time to explore a city, but I was able to have a nice walk around, admire some beautiful buildings, take some photos, and find some geocaches. 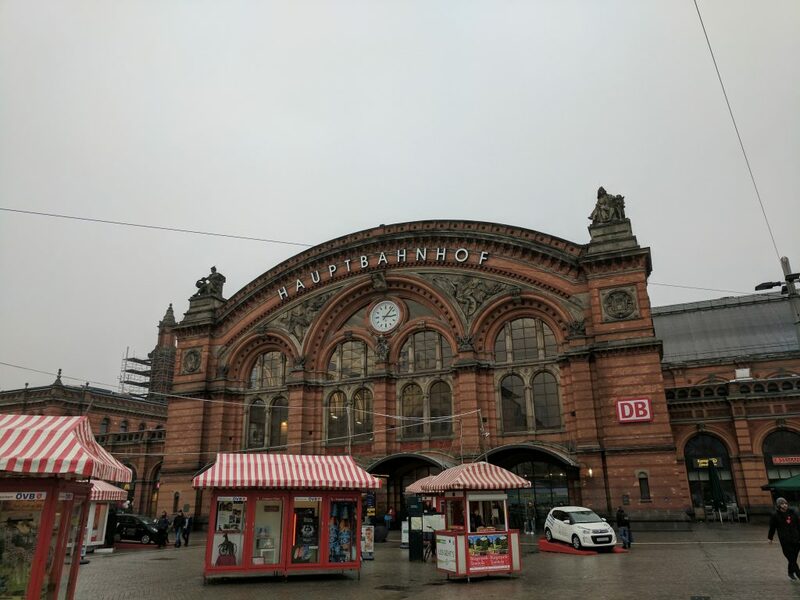 From the Hauptbahnhof (Main Train Station), I took a tram to the central Marktplatz (market square). 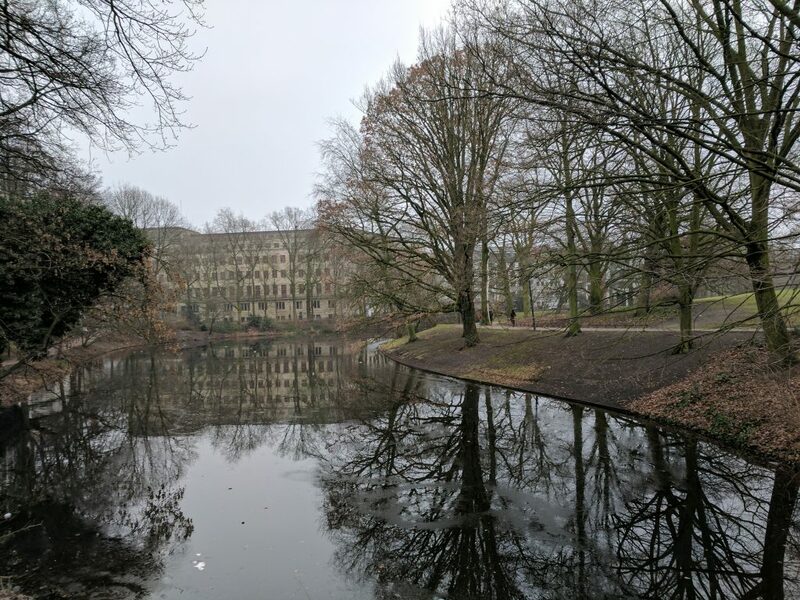 I marvelled at the beautiful buildings and found a geocache. From there, I walked through Böttcherstraße, which is a charming street with beautiful and interesting architecture. I reached the Weser river, where there is a webcam cache on the promenade. I then proceeded to the St. Martin’s Church, which is an old riverside church founded in 1229. There was also another cool geocache there. At this point, it was already time to head back to the train station to catch my connection. 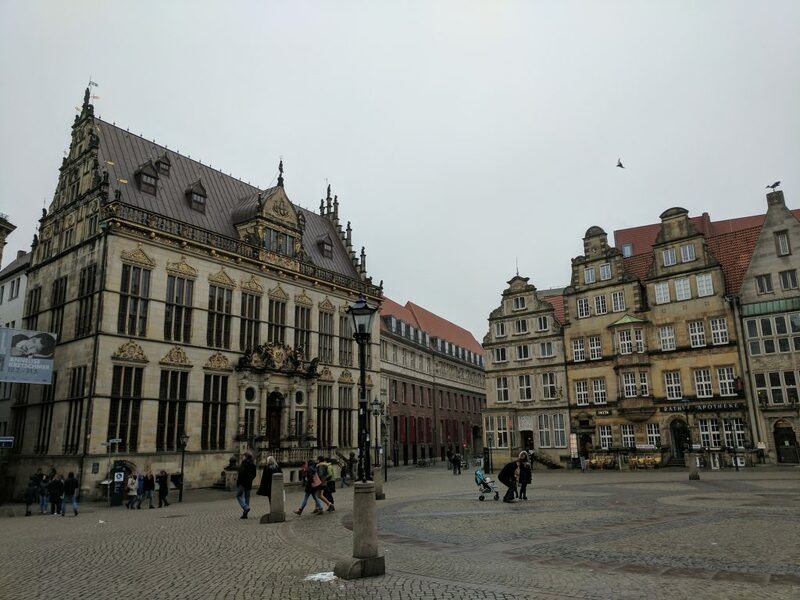 I had enough time to have a nice walk all the way back through the Altstadt (old city). 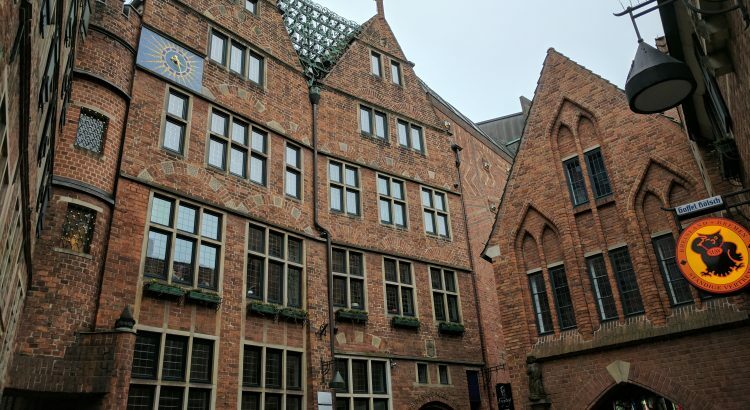 The historic center of Bremen is surrounded by a moat and zigzag-like fortification, characteristic of earlier European city defenses. I was able to get a nice look at the fortification on my way back to the train station. Here you can see part of Bremen’s historic fortifications, which were turned into a park. 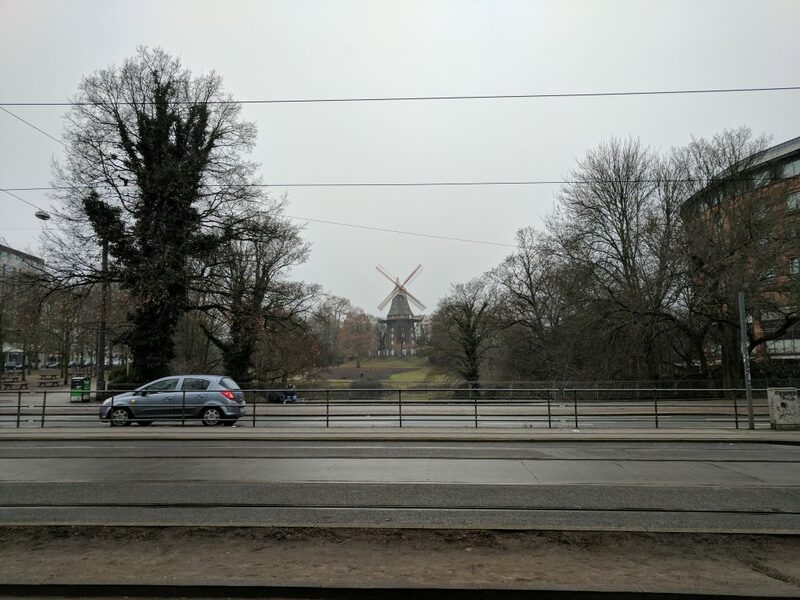 Bremen also has a windmill! Also, streetcar tracks. 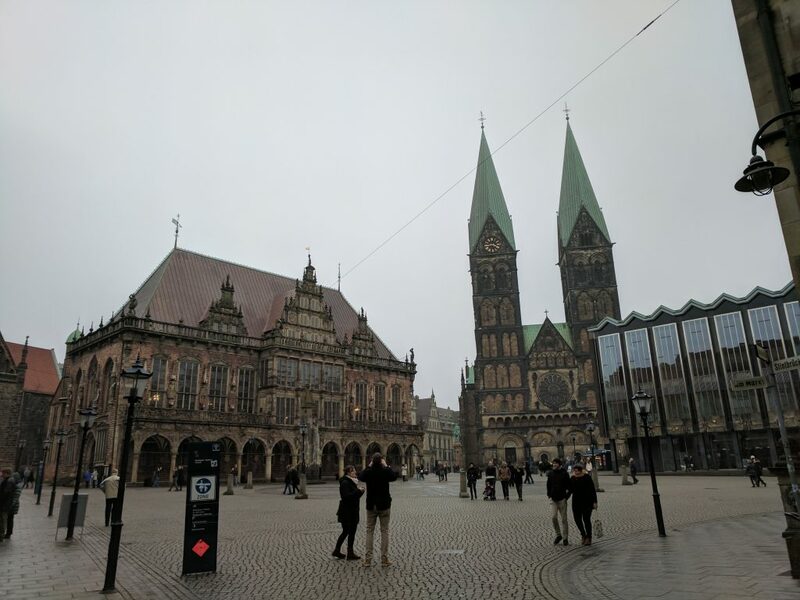 All in all, I had a very nice couple of hours walking around Bremen. I saw some beautiful things, and can’t wait to go back!